$25 buys 5 items (wine or food) Additional items are also $5 each. 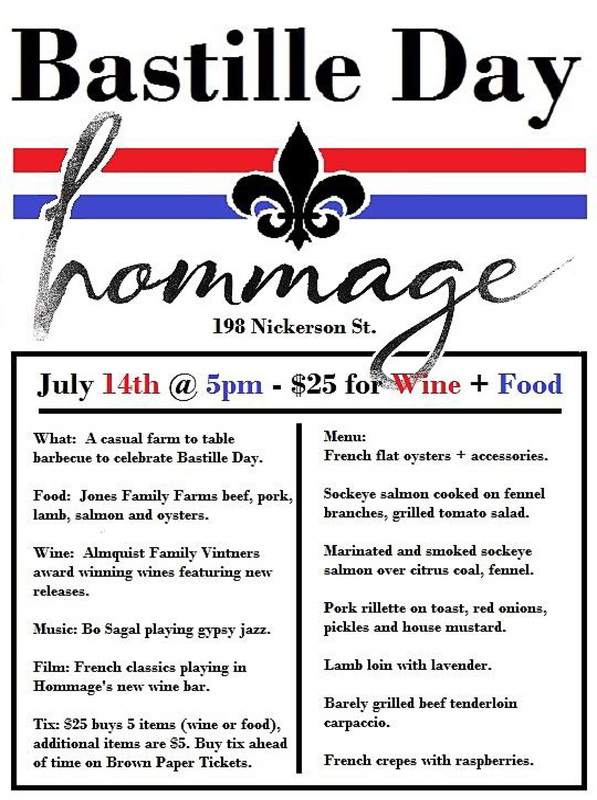 Join us at 198 Nickerson for a casual farm-to-table barbecue to celebrate Bastille Day. Jones Family Farms will be providing beef, pork, lamb, salmon and oysters. Almqiust Family Vintners will be pouring some amazing summer releases, and our associate winemaker, Boris Sagal, will be serenading us with some gypsy jazz. Classic french cinema can be enjoyed upstairs in our new wine bar.